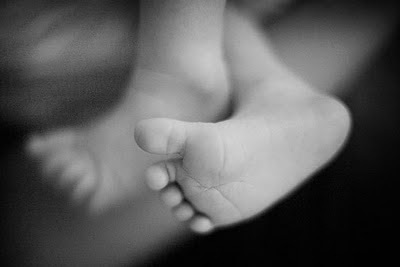 Oh, I just love baby feet, and those are some damn cute baby feet! Wow, those sure are cute tootsies! CONGRATULATIONS!!! and those are some damned good looking feet right there. Congratulations! Those are some super adorable baby feet! Feetskees! I love it! It gets better, don't worry. First three months are the hardest. I look forward to seeing more posts. What a cutie! That pic is precious. you take all the time you need and spend it with that precious baby of yours! thinking of you!